Is The Award-winning Zamberlan 996 Vioz Walking Boot As Beneficial For Hikers As It Looks? 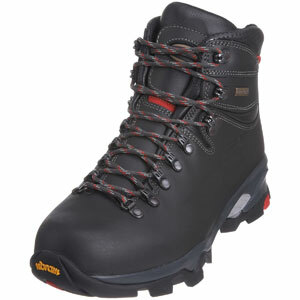 The Zamberlan Men’s 996 Vioz Gore-tex Walking Boot automatically looks like a tough shoe that can tackle a good hike with its sturdy lacing, stiff leather upper, thick rubber sole and other supportive elements. These boots are constructed from Zamberlan hydrobloc full grain leather, have a Gore-tex lining and are said to provide everything from shock absorption and comfort to moisture wicking and internal stability. As winners of the Country Walking 3-season boot test they should be a reliable pair of boots but what do buyers really think?